A recent article by Eric Saperstein is featured on the Phoenix Masonry Museum discussing the history of fraternal staffs and carvings. 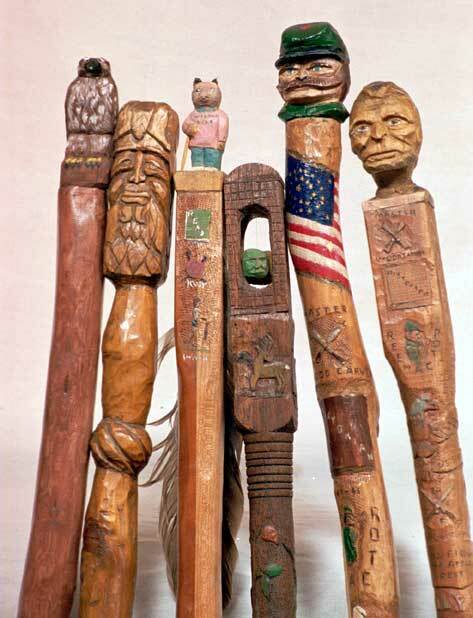 The article paved the way for a recent Masonic teaching staff featured in Stanley's article entitled American Folk Art Canes Soar in Value. Stanley's interest in smaller creative projects increased with his retirement. 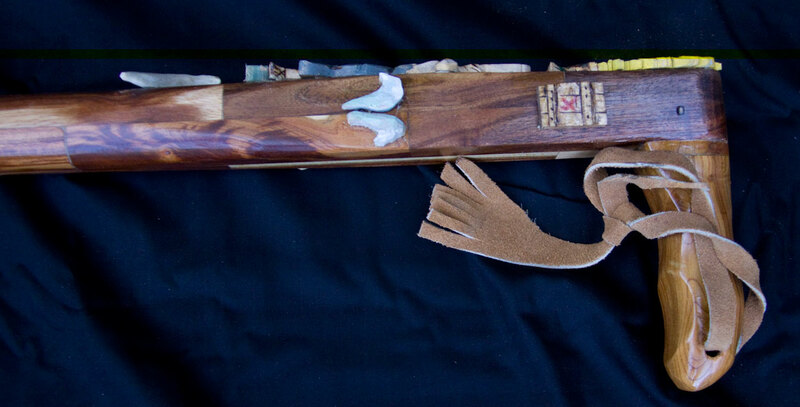 Perhaps his favorite folk art interest is walking sticks, and these unique pieces are a true art form in themselves. 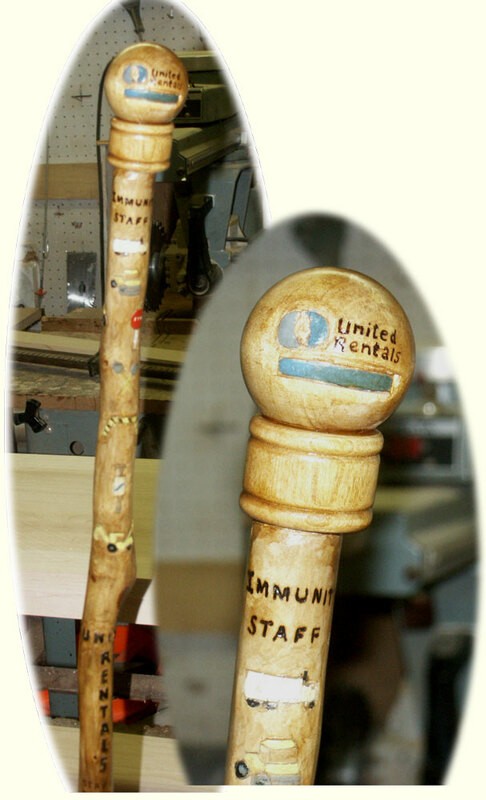 Each stick is unique and signed, offering an individual the opportunity to make their own personal statement by the staff they carry. This section shows a photo gallery, check our Feature Profile section for more examples. Custom insignias can be carved, whittled, sculpted, painted, or burned into the finished stick including family trees, favorite designs, fraternity letters, business logos, or other endless options. Stanley specializes in producing a walking stick that contains as many personal distinctions as possible. Commonly topped with a whittled sculpture options include, bear heads, eagles, and wolves to the likeness of Lincoln, Lee, or Grant. Shown Left above, this featured staff is an elaborate cobra head wizard's staff inspired by the Lord of the Rings Trilogy. 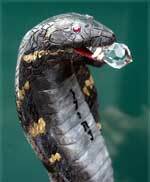 Showing every detailed scale & color the ruby eyes and magic crystal project the theme of supernatural powers. This staff spread our reach for folk art to South Korea. Above right - the symbol of medicine a staff representing Stanley's rendition of the Caduceus. 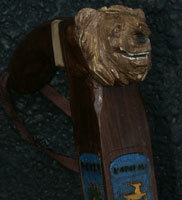 This fine example of a profession theme brag staff was custom made for a doctor in Scotland. 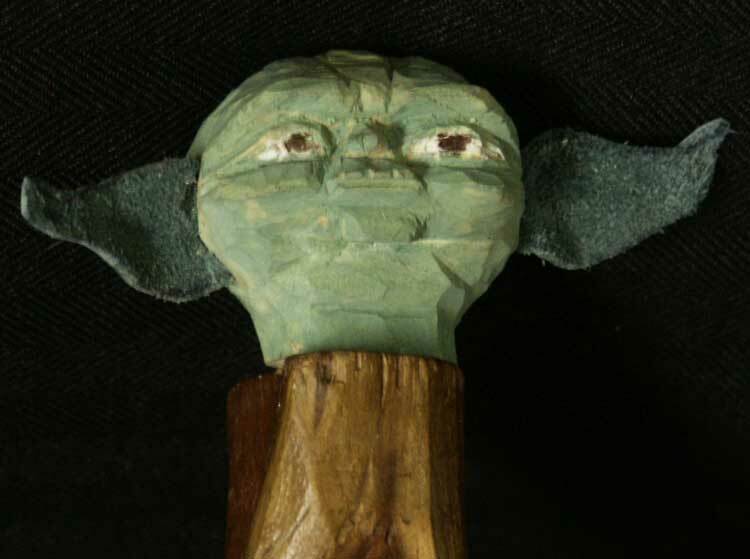 Left is obviously Yoda, see a feature of this cane or feature pages. To the right is an immunity staff spin-off. United Rentals decided to grant one employee each month the special privilege of immunity from the daily abuse often dealt out by management. A creative twist, and a perk, for their employee of the month. Featuring corporate logos, various heavy machinery and depictions of their corporate culture this, and staffs like it, serve for many business purposes. On rare occasion, Stanley offers his staffs as gifts, traditionally given to local figures for their dedication to historical preservation. 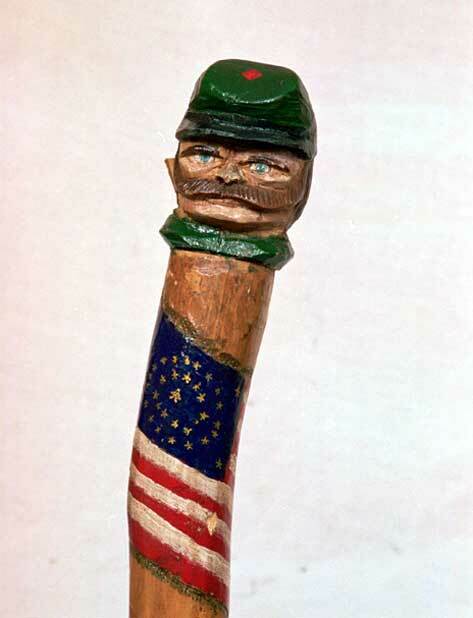 Collectors whom boast to have one of Stanley's staffs in their possession include the famous author and walking stick collector George H. Meyer, author of "American Folk Art Canes" H. Kels Swan, President of the Swan Foundation, dedicated to the preservation of American Revolutionary War History. Peter Watson, Administrator, Howell Living Historical Farms for his dedication to the preservation of 18th century farming techniques. 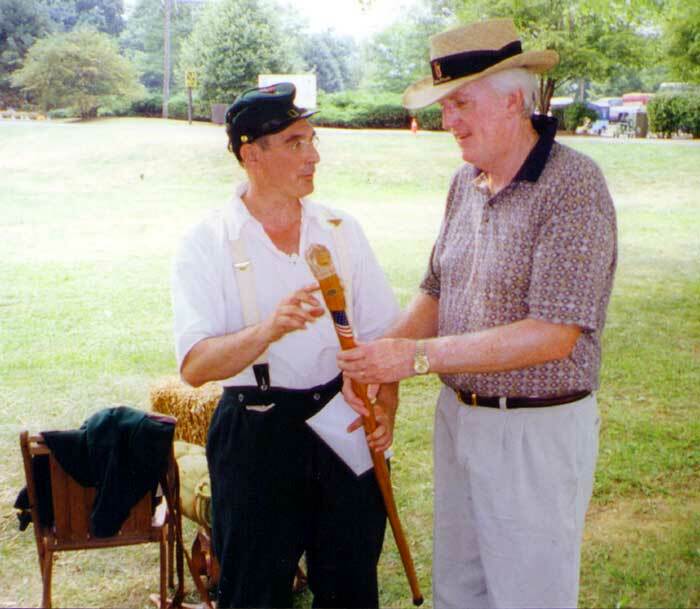 Shown above, Stanley offers a walking stick to Mayor Jack Rafferty of Hamilton Twp, NJ, for his involvement in the Civil War and Indian Museum in Hamilton Twp. 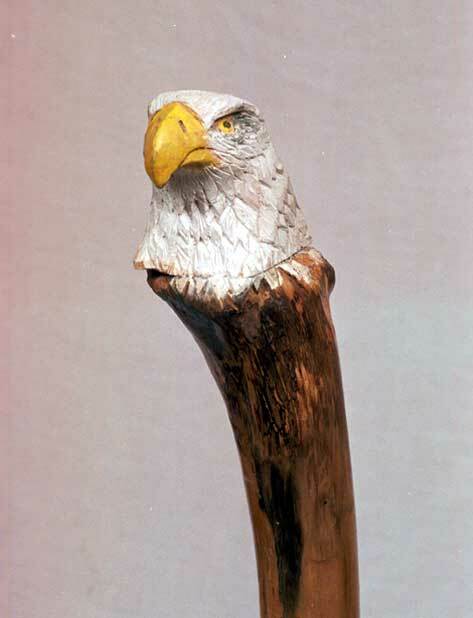 Custom canes are available with anything the customer wishes on the cane. 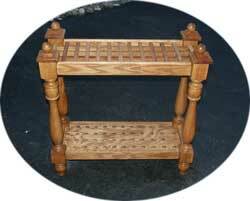 Most canes sell for around $125, some custom works up to $350 or more. Staffs or canes can be shipped anywhere, as they can be easily packaged in commonly available postal shipping tubes and corrugated paper. The investment is very reasonable, considering the current upswing in value of collectable crafts, and you'll own a conversation piece that never goes out of style. 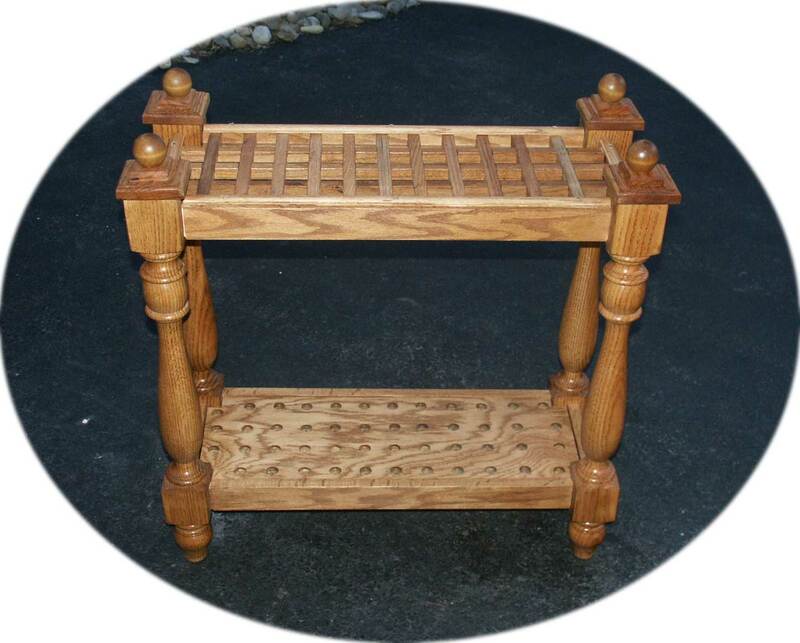 This cane rack is also featured on www.artisansofthevalley.com in our Period Furniture Accessories section. 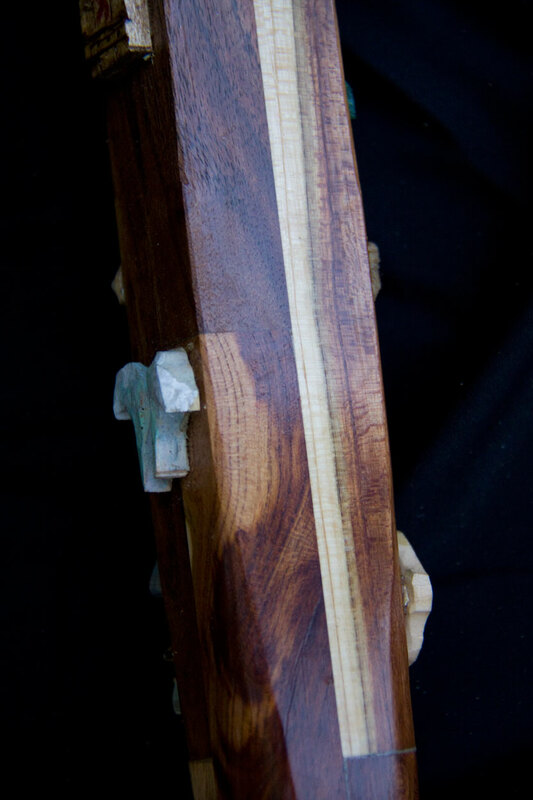 A Mahogany and cherry presentation case was custom made for safe keeping and display. Closeup of material - the stick was fabricateed using pen blanks secured together into a laminated/overlapped staff.